It may be a “first-world problem,” but that doesn’t make sitting home alone on a Friday night any more bearable. You’re always looking for fun things to do when you’re bored, and I don’t blame you. Growing up, I learned that feeling bored out of my mind was a problem I needed to solve! I’m bored, what should I do? My dad grew up on the family farm out in the Midwest. Wanting to instill his children with the value of hard work, my dad would always greet our complaints of boredom by assigning some chores for us around the house. Picking up rotten peaches in the yard. It doesn’t take long before you decide you’d rather find your own places to go when bored. Of course, boredom can be an expensive feeling. After a long week at work, it’s all too easy to rationalize dropping $25 on a movie ticket and concessions, $50 for dinner and drinks, or $100 on random home decor and knick-knacks form Target. It can take some creativity to find fun things to do that don’t require forking over tons of cash or racking up your credit card bill. 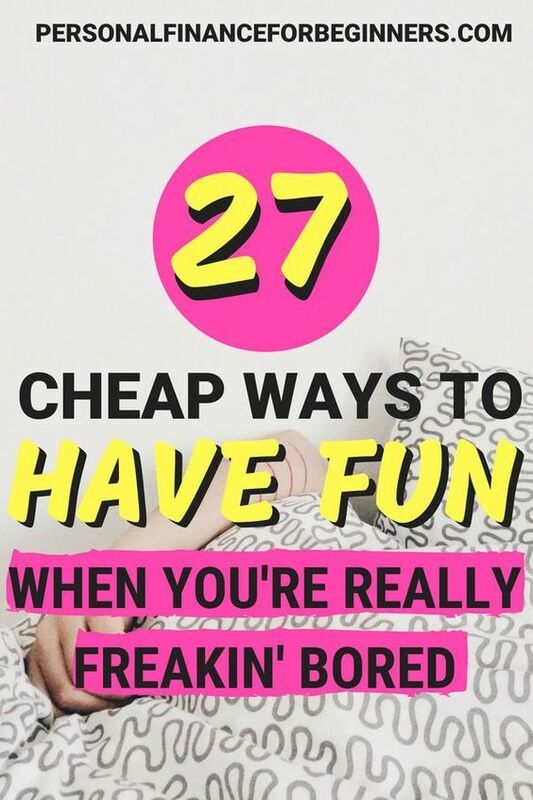 Deciding what to do when you are bored can be a challenge, but I promise, there’s something for everybody! Invite guests over to your place for a meal. Eating out at restaurants is one of the most killers for your food budget. Why not invite guests over to your place for brunch or dinner instead? You might just be able to feed a small group for the same price you’d spend on a meal out (or make it a potluck!). Have a picnic in a park. Avoid “cabin fever” by enjoying a meal a picnic at a nearby park. Grab a blanket or scope out an open pavilion to spend a few hours eating a meal, getting some sun, and maybe enjoying some other outdoor activities like frisbee or just plain-old people-watching. Take a book and snacks to a local cafe. Enjoy the aromas of fresh coffee while spending your morning or afternoon at a coffee shop. If you want to keep your costs low, pack some snacks to take with you, but be sure to support the business by making a purchase while you’re there! Don’t forget your laptop or phone charger. Treat yourself to dessert. Whether you decide to buy a dollar ice cream cone from McDonald’s or splurge on a gourmet item from a pastry shop or bakery, it’s always cheaper to treat yourself to dessert rather than buying a full meal. Enjoy something sweet and perhaps a little indulgent in the name of “saving money,” can you beat that? Prepare your meals for the week. If you’re not careful, it’s easy for your diet to sabotage your financial freedom. One of the best ways to keep your food budget in check is to cook your meals in preparation for the upcoming week. Spend your Sunday afternoon testing out a few new recipes, sampling everything you make, and packing up meals to eat for the next few days. Find a new outdoor attraction you haven’t visited yet. Grab a breath of fresh air while you explore a new (or favorite) outdoor attraction. Read a book at a park. Hike a new trail. Drive up the canyon. Walk along the beach. Even if you don’t consider yourself particularly “outdoorsy,” there’s something for everyone! Wake up early and catch a sunrise. If your Friday night plans aren’t looking too hot, why not go to bed and wake up early the next morning to catch the sunrise? There’s something inherently satisfying about watching the sunrise while many people are still asleep. If mornings really aren’t your thing, though, why not go find an epic place to watch the sunset instead? Roast some marshmallows or make some tin foil dinners over a bonfire. When was the last time you built a bonfire up the canyon or on the beach? A bonfire is a great chance to disconnect from your devices and spend time in a scenic environment. Be sure to check your local regulations to make sure there are no fire restrictions in place. Play sports – with friends, with strangers, or by yourself. Grab a basketball, football, or frisbee and go play! Practice your skills on your own. Invite friends or family members to come to play a casual game with you, or find others at the park or rec center who might enjoy a little competition! Go to the gym. If you’re already paying for a gym membership, why not put it to use by spending an hour lifting weights or doing some cardio? 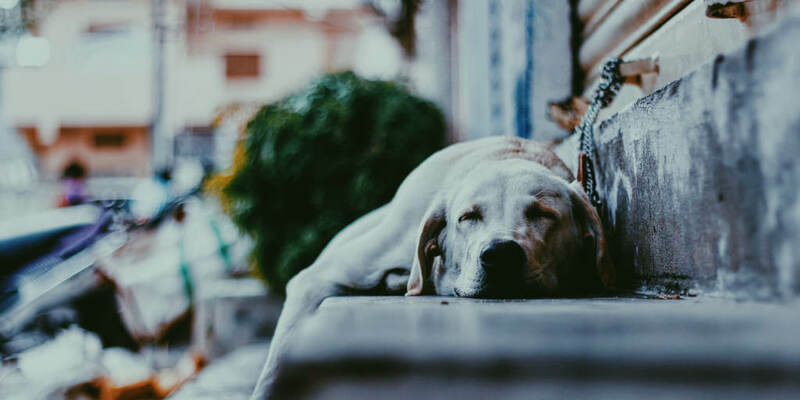 Exercise has been shown to fight fatigue and boost energy, so after you finish working out, you’ll either be invigorated enough to go find something fun to – or exhausted enough that spending the rest of the day inside doesn’t sound too bad after all. Go on a walk. Walks are one of my favorite boredom-busting activities. Take a step out your front door and start picking random directions or streets to wander down. Even if you’ve already driven by everything in your neighborhood, it’s a completely different experience when you’re out there on your own two feet. Go on a drive. One of the easiest ways to cure boredom is to just get yourself out of the house. Take yourself on a joyride to a nearby city you don’t visit often, admire the homes in a fancy neighborhood, or pass through a scenic area. Be sure to follow the speed limit on your joyride – speeding tickets aren’t cheap! Hunt for geocaches from your phone. Go on a real-life scavenger hunt by geocaching with a mobile app. Participants leave containers at hidden locations that can only be found using specific coordinates or clues. Each container (or “cache”) contains a collection of leave-behinds – often a mix of toys and trinkets – as well as a log of dates and signatures by those who’ve found that geocache. Enjoy all of the benefits of the local library. Your public library offers you a wide variety of perks that you probably aren’t taking advantage of. You can save money by visiting the library to listen to a guest lecture, pick up some free museum or state park passes, or simply check out some new books! Volunteer at a homeless shelter or soup kitchen. Of course, these are just two of the opportunities you have to share your time back to contribute to your community. No matter your passions – animal rights, the environment, military veterans, elderly care – you can find a way to make a difference by volunteering, whether it’s once or on a recurring basis. Check out the Farmers Market. Support small businesses by visiting a local farmers market. You’ll find a wide variety of fresh produce, arts, and crafts available for sale, but you can also just “window shop” while seeing what unique items are offered. Many farmers markets will also include live music and entertainment from local performers. Connect with friends to make plans during the week. Reach out to friends or acquaintances to catch up over coffee or dinner during the upcoming week. If you’ve been feeling down about not having any plans for the weekend, you’ll not only get a chance to build or renew a connection but also have something to look forward to in the coming days. Write a letter, send an email, or make a phone call to a family member. No matter who you are, there’s someone that would love to hear from you. Whether it’s a parent, child, sibling, or distant cousin… take a few minutes to check in with them, share what’s happening in your life, and send a thoughtful message their way. Invite friends over for a game night. Don’t have any games to play? You can find a variety of popular and uncommon board games at your local thrift shop or secondhand store. It’s great to have a few classics that everyone knows, but it’s also a lot of fun to learn the rules to a vintage or unusual game! Start learning a new song, instrument, or piece of art. Developing a talent like playing an instrument or mastering a medium of art can require thousands of hours of practice. Pick up a new skill. Refine your talents. Find yourself in a state of “flow” by immersing yourself in art and music. Find live music, karaoke, or an open mic night. Concert tickets can be expensive these days – especially with those outrageous “handling fees.” Fortunately, if live music is your jam, there are still plenty of opportunities to enjoy talented musicians without emptying your wallet. Many coffee shops and bars have a monthly calendar that includes performances by local musicians. If you’re a brave soul and show up on karaoke night, that amazing talent might just be you! Listen to music while you work on a puzzle. Okay, I had to get a little creative to find another item under the music category. Still, puzzles can be a fun way to spend your extra time. It can take several hours to complete a 500- or 1000-piece puzzle. If you’re feeling really adventurous, you can buy a puzzle from a thrift shop or secondhand store and cross your fingers that it has all of the pieces. Turn on some tunes and get to work! Attend a local Meetup event. Want to find a group to hike with? Play board games with? Discuss books with? These are just a few of the common activities you’ll find hosted through the Meetup website. The website allows you to connect with local people who share your same passions and hobbies. Find a community events calendar. If you’re looking for free or cheap things to do in your area, you’ll want to bookmark any community event calendars you can find. Pick up a copy of the newspaper, check out the event calendar for the local library, or see what’s on the upcoming schedule at any nearby universities. Many community events have limited advertising or varying levels of engagement, so they’ll be happy to see you there! Discover new Facebook events. Your Facebook friends might send you private invitations to their own events, but did you know you can easily search through events open to the general public? Use the Discover Events page to find events in your city that are happening this weekend. See what’s offered on Eventbrite. Another website to check out for free or cheap events near you is Eventbrite. Just like Facebook and Meetup, you can browse different categories of events in your city. While some of the events charge for tickets, there are lots of free events for music, food and drink, exercise classes, and more. 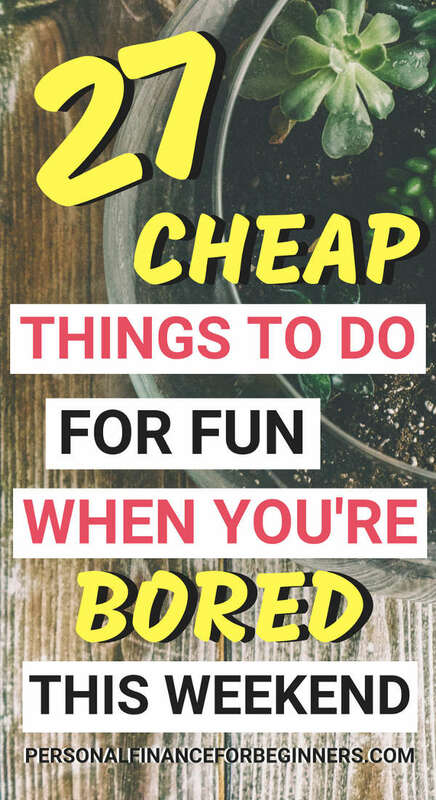 Don’t let boredom become an excuse to break your budget. Having fun doesn’t have to come with a price tag or at the expense of your long-term goals. You can respect your financial values while still having a good time! Next time you find yourself bored over the weekend, choose two or three activities from the list above. Bonus points if you decide to mix and match a few of these ideas together! Want to save these ideas for later? Pin this post to a relevant Pinterest board so you can skip the boring weekends – and maybe help someone else do the same! These ads great ideas Aaron. Looking for household chiores that need to be done can relieve boredom and create a sense of calm in your home. Declittering and selling or donating items you no longer need or find value in is a great weekend activity. We also enjoy your suggestions of going for walks and bike rides around our town. It’s amazing how far you can get and what paths you can wander on when your schedule allows.